Wish your friend, love or family a happy new year in advance. 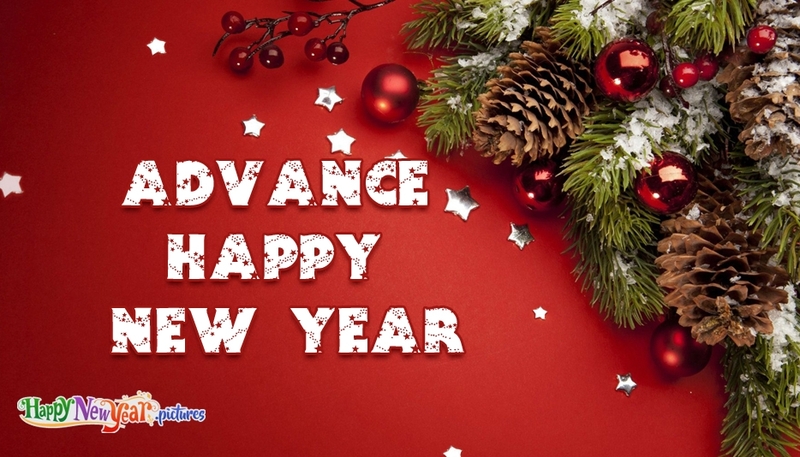 The picture portrays the new year wish "Advance Happy New Year" with the image of a bouquet of flowers. You can use this picture to wish your friends and family a happy new year in advance through facebook, whatsapp or any other social media. You can print or download this new year wish e-card for free.